The mystical Northern Lights have spawned many myths over the ages – but, says specialist, The Aurora Zone, the latest is the biggest myth of all. Myth 1 - A baby conceived beneath the Northern Lights will be lucky, clever AND beautiful. We have no proof of this Japanese myth – but did see an upsurge in Japanese tourists within the Auroral Oval at the peak of solar activity recently - so maybe they know something we don’t. Myth 2 – Giving birth under the Lights will ease the pain. We’re pretty sure this Icelandic story isn’t true either - but there is certainly plenty of calming magic in the Aurora, so perhaps easing the pain of childbirth is another of her many talents. This Scandinavian myth that you would be snatched by the spirits if you whistled at the Aurora has been proved to be incorrect by the fact that North American Indians regularly did so - with no reported losses. The Aurora is caused by gaseous, particle-ejections from the sun, hitting the earth’s magnetic shield and being attracted to the magnetic poles - north and south - where they collide with atoms which produces the lights we see in the sky. Spots on the surface of the sun are known to produce these eruptions, so the cycle of solar maximum (when there are more sunspots) and solar minimum (when there are fewer) generally correspond to more or fewer sightings. But, importantly, gas ejections continue to be emitted from the sun through what are called ‘coronal holes’ (ironically far more stable during the solar minimum and releasing a more constant stream of particles), which hit the earth no matter where in its span the solar cycle is, so the Northern Lights continue. We are currently in the declining stage of Solar Cycle 24 and some recent reports have confused this basic science, believing that a lower number of sun-spots means no Auroras; it’s simply not true. What is true is that anyone wishing to witness the Northern Lights for themselves will probably need the help of an expert. In recent times, many non-specialist tour operators have provided Northern Lights holidays, because the lights were relatively easy to find across Scandinavia. 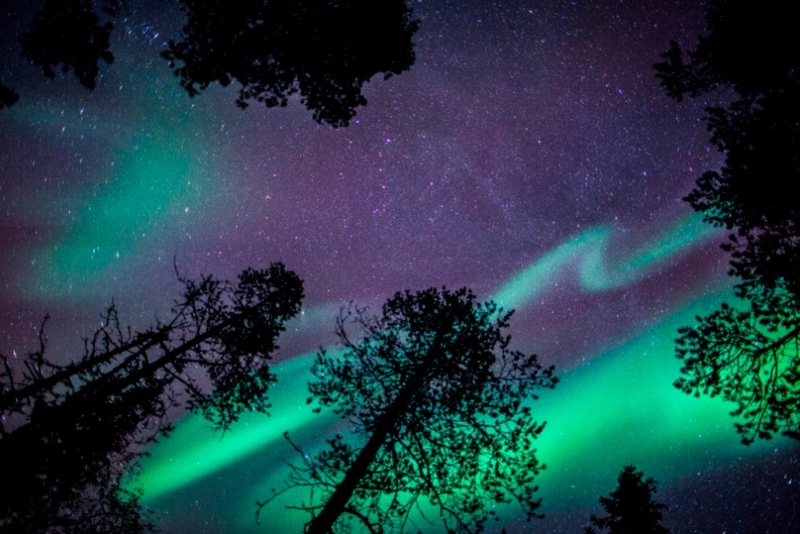 The new solar minimum however means that travellers will need the services of an Aurora specialist, to ensure they find the right location to see the lights successfully. To help dispel the myth of a disappearing Aurora, The Aurora Zone team anonymously contacted a variety of experts to get their view. The replies they received - from bodies such as Space Weather Live, the Space Weather Prediction Centre, Michigan Tech and the former Canada Research Chair in Space Physics - were unanimous in stating that the solar winds would continue and consequently so would the Northern Lights. Guide Gunnar, who escorted Joanna Lumley to see the lights, concurs on a recent TripAdvisor post - and then there’s this from NASA: "Geomagnetic storms caused by high-speed solar wind streams aren’t uncommon,” said Leila Mays, a space physicist at NASA’s Goddard Space Flight Center in Greenbelt, Maryland. "Near solar minimum, when solar activity like coronal mass ejections are less frequent, these fast streams are actually the most common cause of geomagnetic storms that create auroras." To see for yourself, try one of The Aurora Zone’s carefully planned trips. Set in the fells of Finnish Lapland, Harriniva - Best of the Northern Lights includes a Northern Lights workshop, Aurora snowmobiling, a Northern Lights explorer trip by minibus, a husky night adventure, a reindeer Aurora experience, a Northern Lights bonus hunt, Aurora snowshoeing and daily hotel sauna access. The price is from £1,615 pp (two sharing) including flights (Gatwick), transfers, seven nights' accommodation with breakfast and dinner, activities, Aurora alarm, cold weather clothing for your stay and experienced local guides. Experience the best of Norway on this tour of Tromsø and the Lyngen Alps. Included is a Northern Lights photography workshop, snowshoeing, snowmobiling and a husky safari with the option to go whale watching on a rib boat or to meet a traditional Sámi family and enjoy a reindeer sleigh ride. Stay two nights in Tromsø and two in the Lyngen Alps, sleeping in a Crystal Lavvo in mountainous surroundings; the cosy wooden building has a spectacular glass roof for views of the night sky. The price is from £1,055 pp (two sharing) and includes four nights' accommodation, most meals, activities, transfers, cold weather clothing and experienced local guides. Flights extra. Guarantee yourself a white Christmas and catch the Northern Lights in Lapland this year. A Christmas Aurora Adventure is an action-packed short-break and includes a tour of, and lunch at, the ICEHOTEL©, a husky safari, reindeer sleigh ride, snowmobile safari, time at a spa and sauna and cross-country ski hire plus a Northern Lights hunt by minibus and a Northern Lights snowmobile safari. At the end of each day, enjoy dinner (including a special gourmet Christmas meal) at the warm, cosy hotel looking out onto the beautiful frozen Lake Jerisjärvi. The price, from £1,565 pp, includes three-nights’ full board accommodation, activities, cold-weather clothing during your stay, guides and instructors, local transfers and flights (Gatwick). Departs 23rd December. The Aurora Zone offers nearly 90 holiday itineraries dedicated to witnessing the Northern Lights across Scandinavia, Greenland, Iceland and Canada. 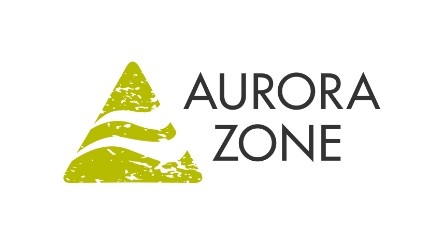 For further information, please visit www.theaurorazone.com. To discuss Aurora-hunting tours with an expert, please call the well-travelled team at The Aurora Zone on 01670 785 012. Press: For more information, high-res images, to arrange an interview with Ali McLean or discuss a commissioned press trip, please contact Julia Farish or Paul Bondsfield at Travel PR on 020 8891 4440 or j.farish@travelpr.co.uk or p.bondsfield@travelpr.co.uk.